Minutes: motion to accept as revised: addition of title “New Business” just after item “Hats” & before section starting “Ken D:”; Motion by Bill, 2nd by Dan. Rebate for $100 for new Icom 7300 arrived. Lowe’s $1.16 credit has been applied to purchase of tie-wraps (Ken made up the rest). Lowes credit card will be used as needed for materials. Motion by Dennis to allow Treasurer to coordinate with an additional officer to authorize use of card. Passed by acclimation. Change in plans: QST reporter & crew only here for one day, Weds 4/17 9-4 for interviews and video. George will send out email describing what they are hoping to do. 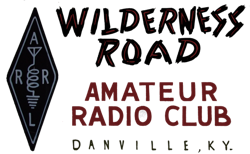 There is an American Legion net on 80m @ ~3.829 MHz every Wednesday at 1930. Chris: Fiber optic switches down at Capital Amateur Radio Society emergency management. These are needed to control radios as they are located remote to the operator area. They want to know if they can use our station in case the repairs are not completed in time for the drill on May 30th for a National Exercise. Only areas from Kentucky that will be participating are Area 1 & Area 2, western Kentucky. This is an all day exercise. We would be called the alternate EOC. Roughly 0900-1800 but possibly stopping earlier. Emergency power is not required. George motions to allow, Ken 2nd. Passed. Mike will confirm OK with Tony as Post Commander. Ken D: Web master. Yurg was our webmaster and Ken took it over. Needs help for WordPress backup & restore. Motion for $150 maximum for professional help for Ken. George motion, Bill second. Passed by acclimation. Chris: 100 year anniversary of Post in October. Tony wants special event station in a public location. Unclear how to get a special event call, how much lead time is needed. Also Tony may want us to provide staffing for public information – Mike feels may be deal breaker. Wants it weekend before in a high visibility location, possibly at WalMart. Bourbon Chase is October 18-19 which is that same weekend. *pskreporter.info/pskmap.html” shows world map of communications. Can be set to map a single call sign and will then show everybody who heard whether or not they connected. Works with digital modes & CW only – does not work with phone.